WPP's MediaCom has beaten Zenith and Carat to win Sky's estimated £425m media-buying account across five European markets. It will be a major relief for MediaCom, which has retained and expanded its hold on the near-£300m account in the UK, Sky’s home market, after the first review in 13 years. Virtually all of its UK media-buying account, including search, which is handled by Carat’s sister agency, iProspect, was up for review and MediaCom will pick that up. Only out-of-home media, which is handled by Rapport was excluded from the review. WPP’s Group M media agencies already handled most of Sky’s media-buying, with MediaCom managing the UK, Ireland, Spain and Austria and Mindshare and MediaCom in Germany. Sky declined to comment, although an announcement is expected in the next 24 hours. MediaCom refused to comment. It is understood that Sky and MediaCom have agreed that transparency and accountability are at the heart of their relationship – a key issue for Sky when it was conducting the review. Sources estimate that Sky now spends about £425m on media in the five markets up for pitch. Italy, where Group M also looks after Sky's media, was not included. Industry insiders have been closely watching Sky’s review not only because of its size but also because the pay-TV giant was keen to be seen to run an open and rigorous process. Sky used a large contingent of consultants from Aperto One, ID Comms, Ebiquity and law firm Reed Smith to advise on the review. When Sky announced the review in October 2016, it said it would use its own contract with agencies, rather than using ISBA’s framework contract, although the TV giant was expected to use some of ISBA’s language and principles. The Sky win will be a fillip for WPP whose chief executive, Sir Martin Sorrell, is currently facing an independent investigation over his personal conduct. Sky pressed ahead with its review despite the M&A dramas surrounding the future of the company. Fox, a 39% shareholder in Sky, is trying to buy the pay-TV giant and sell it onto Disney while rival Comcast, the owner of NBC Universal, made its own takeover approach for Sky in February. MediaCom won Sky’s estimated £43m media account in August 2004 when it beat Mindshare and Carat in a three-way contest when Universal McCann, the previous incumbent, did not pitch. 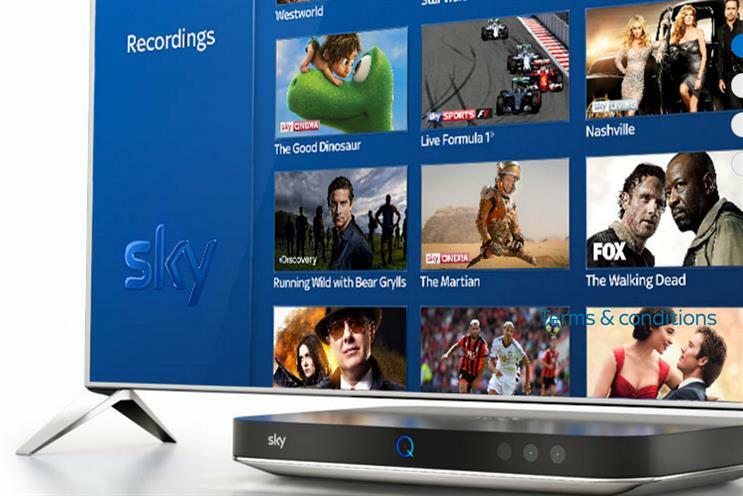 The Sky account has grown rapidly as the pay-TV giant passed 12 million subscribers in the UK and launched broadband, mobile and cut-price streaming service Now TV. Sky is Britain's biggest advertiser. MediaCom is the UK's biggest media agency with an estimated £1.3bn UK billings last year, according to Nielsen.